Modeled after Geisinger Health System's Patient Care Navigator program, Bon Secours Health System launched an embedded case management program in 2009. Adapting the Geisinger model to fit its unique needs, Bon Secours' embedded case managers have been placed in eight physician practices and will be expanded system-wide over the next two years. How the program will factor into Bon Secours' application for CMS's ACO Medicare Shared Savings program. You can watch this program right in your office and enjoy significant savings no travel time or hassle; no hotel expenses. Its so convenient! Invite your staff members to gather around a conference table to view the conference. CEOs, medical directors, physician executives, disease management directors, managers and coordinators, case management executives, case managers, health plan executives, care management nurses and business development and strategic planning directors. Robert Fortini Embedded case managers actively participate in the medication regimens of geriatric patients to increase medication compliance levels. 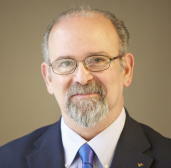 Robert Fortini, PNP, is Vice President and Chief Clinical Officer for Bon Secours Medical Group in Richmond, Virginia. He is responsible for facilitating Provider adoption of EMR, coordinating clinical transformation to a patient-centered medical home care delivery model, and facilitating participation in available pay for performance initiatives as well as physician advocacy and affairs. Fortini has extensive experience in operations and clinical policy development, and experience in workflow re-engineering and CQI in ambulatory care. Before coming to BSMG, Fortini served as the chief medical affairs officer at Queens Long Island Medical Group engaged in quality and HIT adoption. He successfully applied for the first Level 3 NCQA recognized PCMH in New York. Prior to that, at Community Care Physicians Medical Group, Fortini participated in the successful launch of the Bridges to Excellence Collaborative in Upstate New York. Fortini has 30 years of experience in healthcare. He is a graduate of Fordham University and The State University of New York College of Health Professions at Upstate Medical Center in Syracuse, N.Y.